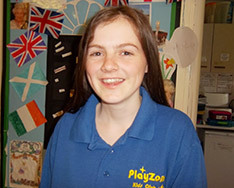 Staff at PlayZone Out of School Clubs are fully qualified or working towards a childcare qualification. All staff are CRB checked and there is always a first aider present at each session. Dorinda is Playleader at our Langtoft club. Dorinda has a Cache Level 3 in Playwork and is qualified at Level 2 in Safeguarding Children. Dorinda is also trained in first aid, behaviour management and food hygiene. 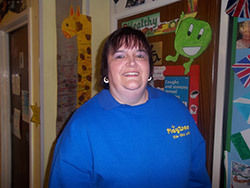 Tracey has completed Level 2 and 3 in Playwork. 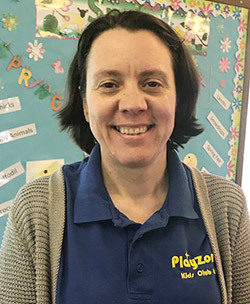 She has completed training in Early Years Foundation Stage (EYFS) and is another one of our EYFS Coordinators. Tracey is also trained in first aid, and food hygiene. Alison has completed Level 2 in Children’s Learning & Development. She is also trained in food safety and safeguarding children. 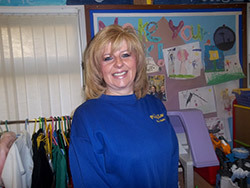 Alison has many years experience working with children in childcare settings. 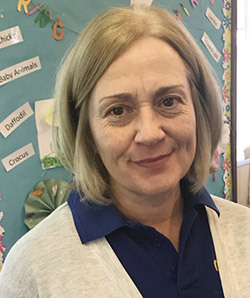 Ann Needham is a Playworker and our EYFS Coordinator. She has a BTEC National Diploma in Nursery Nursing and is trained in Safeguarding. Ann is also a Level 3 Paediatric First Aider. She has Level 2 Fire Safety and Food Safety. Not only all this, Ann is also Food allergy and SENCO trained. and Level 2 Food Safety. She is trained in Safeguarding. Bernie has Emergency Paediatric First Aid and Epilepsy Awareness Training. She has experience working with Primary aged children. Sally has a qualification in Level 2 Food Safety and is trained in Safeguarding. She has experience in an Early Years setting and also experience with Primary aged children. 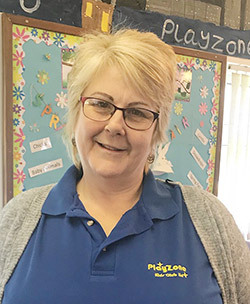 Sandra is not involved in the day to day childcare but is responsible for the general management of the business including payroll, HR, Marketing and company accounts.